Every property is different—and each one has features that make it stand out from the rest of the rental opportunities nearby. Knowing how to bring those to the forefront to attract new tenants, however, is the challenge. Luckily, there are a few simple ways to highlight these features with minimal photography skills and budget. If you do it right, you can also start building a brand for yourself, thanks to engaging videos, improved Instagram posts and more. Keep these tips in mind as you prepare for spring and summer rental season. The first step in highlighting your property’s most sellable features is to share photos of the right features—a.k.a. the features your potential tenants will care most about. These features can be both design-focused and functional; a mix of the two may appeal to the widest audience. Focus on features like crown molding, new appliances, large outdoor or patio space, and newly renovated areas of the home. 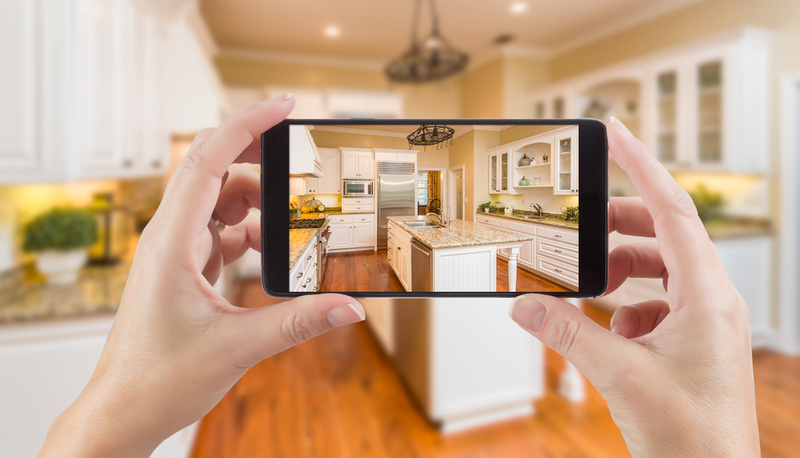 To make sure tenants see the property from every angle, put the images into a collage: “This allows somebody glancing through listings to see interior and exterior shots all at once. Because our homes are so beautifully staged, the split photos get a lot of attention and sets it apart from every other listing,” says Paul Moore, of Smith Mountain Homes. You can also add multiple images to Facebook Carousel ads or Instagram’s new multi-photo upload feature to create a well-rounded view of the property. If creating all videos on a social platform, be sure to download them and upload to your YouTube channel. 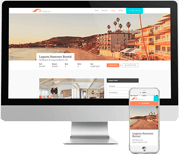 You can begin creating different sections for each rental property, so anyone interested in your listings can get walking tours whenever they want. Photographing the right features is important, and the next step is taking high-quality photos. Luckily, you don’t need an expensive camera or photography experience to do that. The new iPhone 7, for example, has made it even easier for you to get expert-quality photos all on your own, thanks to its new dual lens camera, which features a wide angle and telephoto lens, according to iPhone 7 Rumors Confirmed. Other new phones like the HTC M8 also have this feature, making it possible for you to take photos with depth of field. This is a feature traditionally found only in expensive SLR and DSLR cameras, providing you with a great opportunity for you to get high-quality photos without spending a lot. Walkscore: Use this to attract tenants who care about accessibility to nearby retailers, grocery stores, restaurants and bars. The key is to know when to highlight it and when to leave it out. Crime stats: If a tenant is moving to your area from another town or city, they’re likely unfamiliar with the local crime rates. If yours are notable or lower than average, be sure to include them. This will especially appeal to families and people looking to live alone. Check sites MyLocalCrime and CrimeReports to get the information you’re looking for. Age of property: If you’re renting a new building or house, make that clear in your listing and ads. “It’s worth repeating that tenants want to avoid the hassle of tiresome repairs. 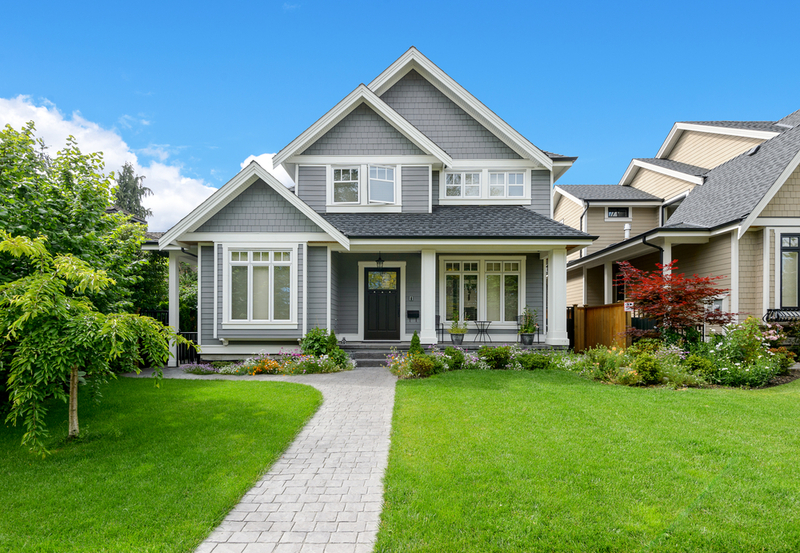 Oftentimes, this means they will look for new properties with newer plumbing, electrical and HVAC systems that are less likely to break down and require repair,” says Andrea Collatz, with Legal Zoom. No one knows what features are most appealing more than the people who have lived in your rental property. If you have a good relationship with tenants, ask them to write a small paragraph discussing the features they liked most about the property. Everyone will like different things, so this allows you to provide a wide, all-encompassing perspective for every potential renter. Feature these on social media, your website, or better yet—right on the listing page. Include first name, last initial and age range (20-25, 25-30). Age range is helpful because everyone appreciate different features at different times in their lives; this allows potential tenants to qualify the information in terms of whether it’s important to them. Featuring your properties most sellable features isn’t hard to do. With the right strategy and ideas, you can capture the essence of your rental property, attracting more people and building a brand for yourself. Register for "Unboxing the Listing Widget" and visit the Listing and Syndication page to learn about Propertyware's newly enhanced, easy-to-use widget. You'll discover how you can leverage your listing power to attract and convert more prospects into tenants. Jessica Thiefels has been writing and editing for more than 10 years and is now a professional freelancer and consultant. She's worked with a variety of real estate clients, and has been featured on Forbes and Market Watch. She’s also an author for Inman, House Hunt Network, Homes.com and more. Follow her on Twitter @Jlsander07.